The first hard freeze of winter has set in. I consider my pile from behind the frosted glass panes of the kitchen door, squinting through the low morning sun for a sign of steam vapor rising from its top. What combustible forces, if any, still go on within? 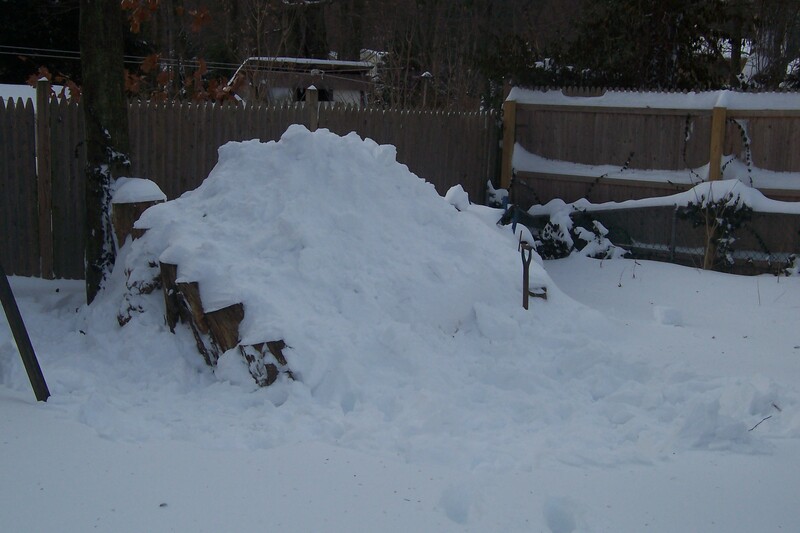 How far into my pile has the cold seeped in? 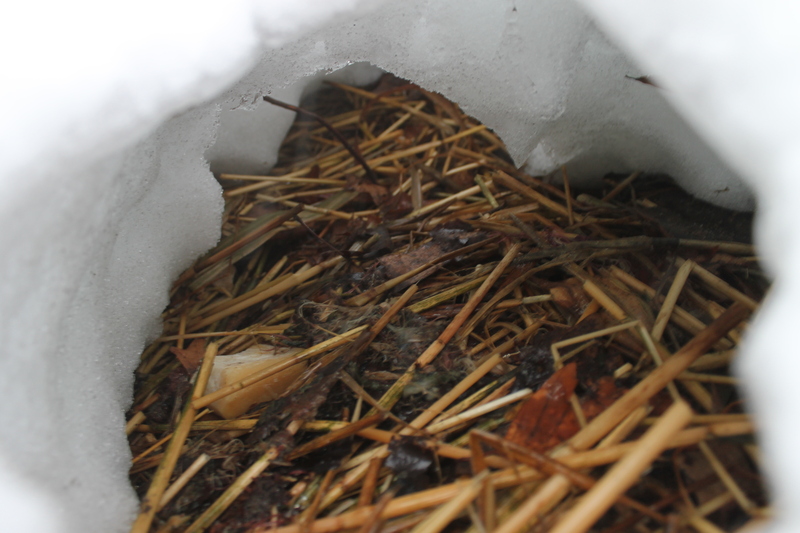 What protection does the heap’s insulating cloak of leaves and seagrass straw provide? Have I given my pile the resources it needs to keep from shutting down completely? A good long winter’s slumber is just fine for groundhogs; aside from the birds that flock to the backyard feeder, all else in my yard has closed up shop for the winter, as it should. 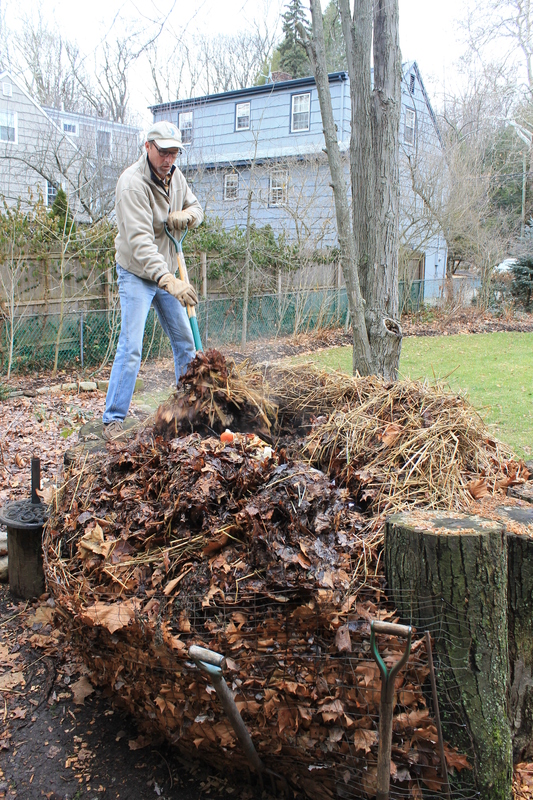 But part of the sport of nurturing a compost pile is in keeping its inner fires stoked to ward off the stasis of winter dormancy for as long as possible. 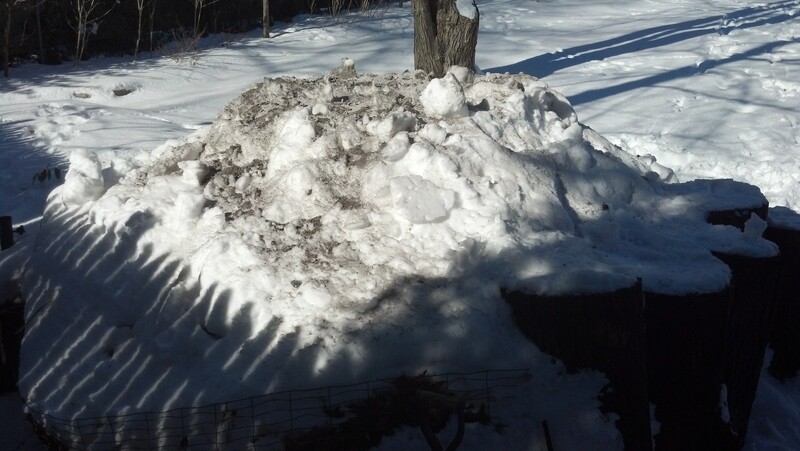 A compost pile in hiberation is boring. It just sits there. A pile of dried leaves and additions of rotting greens teems with the unseen creatures and natural processes that make humus happen. Or so it seems. Some years ago, as I was beginning to take backyard composter more seriously, I went to the local garden store to shop for my pile. I’d read a little about “activators” that kick-start a pile’s decomposition, and I wanted to make sure it wasn’t missing some essential ingredient, an edge. Like a bottle of daily vitamins, it seemed to me, only more mysterious, in a secret sauce sort of way. So I plunked down $11.99 plus tax. I shook the white powder onto my pile like so much pixie dust. It figured it couldn’t hurt, and just might help. 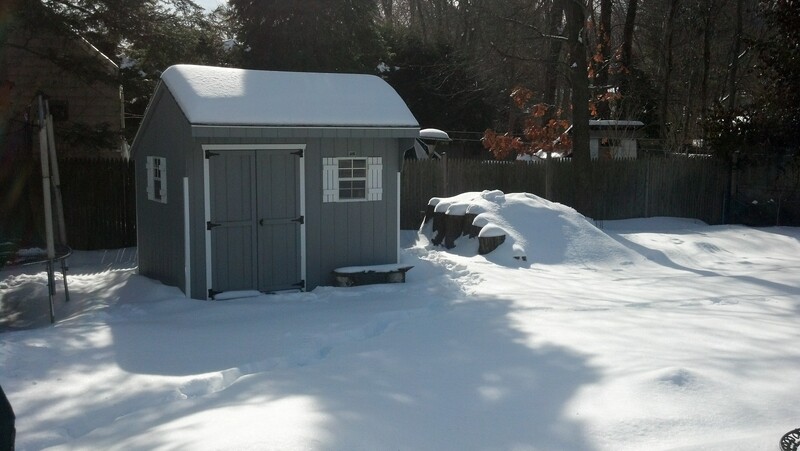 That was before I’d begun my winter reading of composting and gardening books and blogs, and learned that my pile could do just as well left to its own devices. Each random handful of dirt in my yard contains millions of bacteria; countless spores of mold and fungi settle each day on my pile. All play their roles in reducing the rawness and wholeness of my pile into more elemental, digested parts. Co-authors Barbara Pleasant and Deborah L. Martin explore the case for adding activators in “The Complete Compost Gardening Guide” (Storey Publishing 2008): “Even the slowest of heaps includes colonies of adapted microbes, but why not have more? This is the idea behind microbial compost activators, which are typically dry powders that contain compost-ready fungi and bacteria. Food for thought. 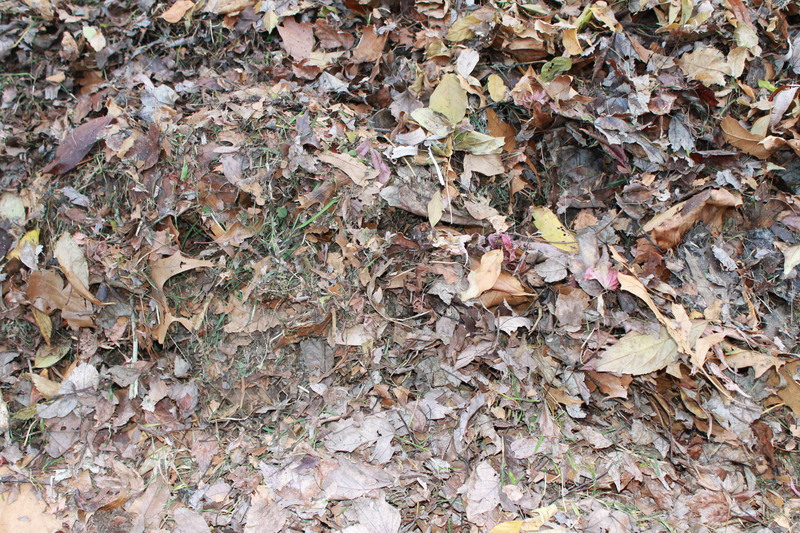 But for now I’ll stick to my new year’s resolution to leave my pile to its own devices, my good-natured meddling aside. The first Sunday of the new year. I let the dog out and follow him into the backyard. Each step makes a crunchy imprint across the frozen grass. I take stock of my pile with a morning pee of my own over the wire mesh that girdles the backside. A tendril of steam rises through the damp stalks of seagrass cross-hatched across the top. A tea kettle on slow boil, my pile. On the outside, my pile begins the new year complete, composed. A heap in full. It almost seems a shame to meddle with it. But mess with it I will, for I have a holiday’s worth of gleanings from my kitchen and from the neighbors to contribute. I have more fresh supplies in store for my pile, from the yard and beyond. A bucket of seaweed, churned to mulch by the gathering high tides of winter, awaits, as does a white plastic bag of coffee grounds procured from behind the counter of the local java shop. Plus, it’s a mild winter day with a mix of rain and sleet on the way. I could use some exercise and an outdoor diversion, a break between the football games on TV. 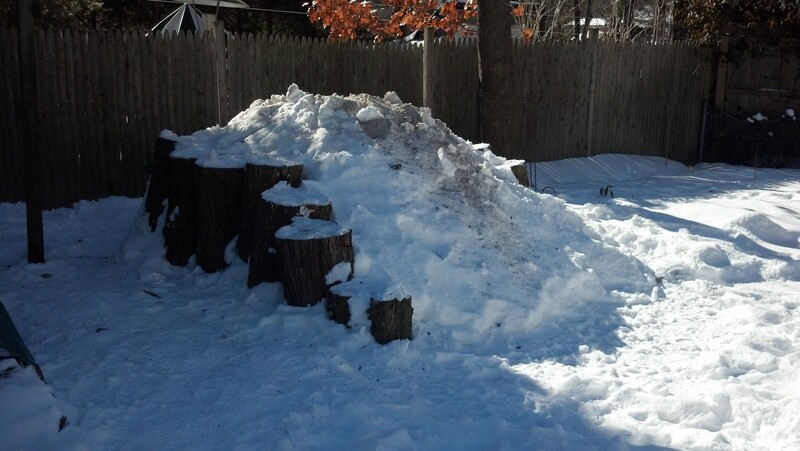 My pile is my own private hot-stove league. I do indoor chores while the sun slowly warms. 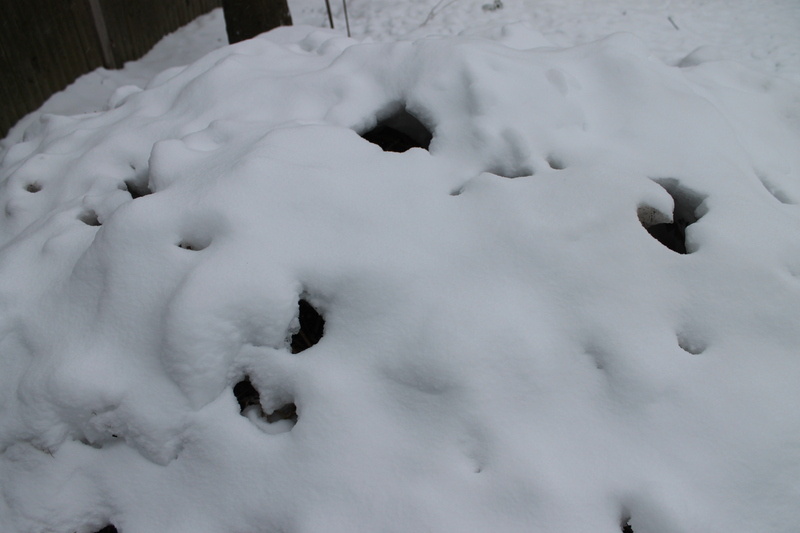 I scoop the cold ash and charcoal bits from the fireplace into a brown shopping bag and set it aside. I’m also long overdue to clean the half-filled 20-gallon glass aquarium in the den that’s home to Bubbles, the pet red-eared slider turtle. Soon the turtle is paddling about in his tank of fresh clean water, and I have a bucket full of murky green turtle effluent to add to my pile. Better that end purpose than flushing the slop down the kitchen sink. Laced with nitrogen, urea and who knows what other nutrients that make up a Chinatown turtle’s night soil will be like adding jet fuel to my pile. I assemble the rest of my stocks and implements alongside the left log wall, then scrape the frazzled toupee of seagrass hay to the side with a heavy gravel rake. Next I plunge the wide-tined hay pitch fork into the spongy wet leaves. I drag forkfuls back toward me to create a trench, releasing a faint whiff of the beach at low tide. Excavating a space in my pile for an insertion of fresh green material. I dig deeper into the time warp that is my pile, down through the stratified layers of past heapings, releasing whaffs of steam along the way. Two feet down, the tines of my pitchfork jab into a mat of flattened leaves like a fork sticking a phone book. I stick my hand into the hole. The wall of leaves is cool to the touch. It seems my pile is combustible only in spots. The cold of winter is winning out over the hot flush of organic fusion. 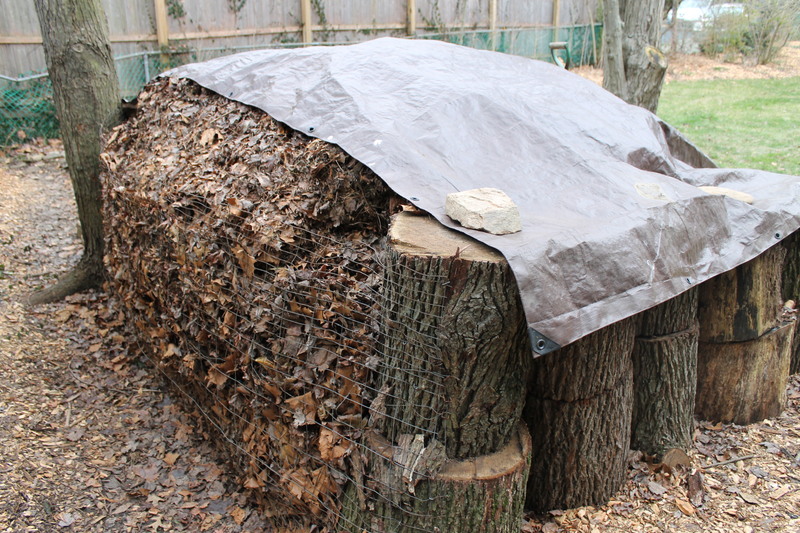 “There are different types of aerobic bacteria that work in composting piles. Their populations will vary according to the pile temperature. Psychrophilic bacteria work in the lowest temperature range. They are most active at 55° F and will work in the pile if the initial pile temperature is less than 70º F. They give off a small amount of heat in comparison to other types of bacteria. The heat they produce is enough however, to help build the pile temperature to the point where another set of bacteria, mesophilic bacteria, start to take over. Mesophilic bacteria rapidly decompose organic matter, producing acids, carbon dioxide and heat. Their working temperature range is generally between 70º to 100º F. When the pile temperature rises above 100º F, the mesophilic bacteria begin to die off or move to the outer part of the heap. They are replaced by heat-loving thermophilic bacteria. 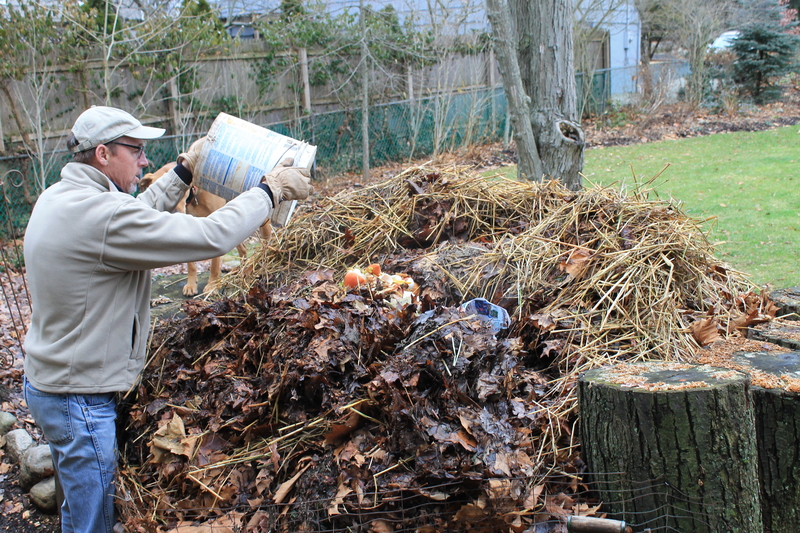 Into the maw of my pile goes the neighbors’ bucket of kitchen scraps. Over the next two months, I’ll gouge out similar holes in a half a dozen places, hoping to spike my pile with enough hot spots to keep the biological processes churning through the cold months. Some hot, some cold. When fresh organic material is added to the soil, the shredders begin breaking it down into smaller pieces. As the shredders chew, they expose surface area that smallerorganisms can then access and also start to break down the tougher materials. The best-known shredders are earthworms. As they burrow through the soil, they eat organic materials that are broken down in their gut, mixed with mucus and excreted. The finely ground material left behind creates a rich buffet for smaller creatures. In addition to the shredders, fungi play a key role in breaking down big pieces of organic debris. Unlike shredders, however, fungi work from the inside out. Fungal hyphae can grow into decaying leaves, stems and even wood, excreting enzymes that destroy the bonds between cell walls, then digesting and converting lignin and cellulose into simple sugars the fungi can use. Once the organic matter has been broken down into smaller pieces, bacteria and actinomycetes go to work. Through their sheer numbers, these organisms are able to access most of the easily digested materials in the soil and incorporate them into their bodies, with the sole purpose of making more bacteria. In the process, they release nitrogen, phosphorus, sulfur and other nutrients that have been bound up in the organic matter. Bacterial and fungal growth attracts a whole population of tiny animals that feed on them in much the same way that cattle or sheep graze a pasture. These include protozoa, such as the amoeba and paramecium. Large numbers of mites and nematodes also fill this role. Not all of the nutrients consumed by the grazers are used for their own growth, and the waste they release hastens the cycling of nutrients into a form that plants can use. Just as in aboveground ecosystems, there are specialized predators in the soil. This group includes many species of nematodes, mites and small insects. Aside from keeping the population of grazing animals in check, these predators continue the cycling of nutrients through the soil ecosystem. Which is where I come into play. I dump the bucket of kitchen slop into the bottom of the hole, twisting it into the bottom of the hole to fluff things up. In goes the neighbors’ bucket and bag of coffee grounds, like soup into a hollowed-out loaf of bread. Stir again. The fresh additions disappear into the matrix of brown leaves. I spread dollops of seaweed across the excavated hole, then cover it with a loose collection of leaves gathered from my neighbor’s yard –my way of a thank-you for them hosting me for Christmas dinner. I drain the turtle stew into the mix; who knows what bacteria will sup up that nourishment. I finish by drawing the blanket of rotting seagrass stems back across the top with the rake, and sprinkle with a dusting of wood ash and charcoal bits from the fireplace. Once again, my pile is whole, its inner workings cloaked.